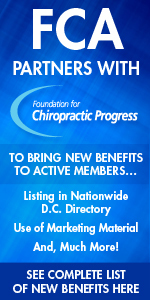 If you have been keeping up with the FCA Bulletins and web posts, you are aware that the FCA is and has been supportive of online chiropractic CE hours. FCA General Counsel Paul Lambert has testified to that effect before the Florida Board of Chiropractic Medicine (BOCM) on two occasions. The FCA is also keenly aware the words “contact classroom hours” are in the chiropractic CE statute and recent legal counsels to the BOCM prior to the current counsel have advised them that a statutory change would be necessary in order for the BOCM to adopt a rule providing for online CEs. This fact has been mentioned by Mr. Lambert, former BOCM members and even a former BOCM Counsel – in public testimony. Invite friends, family and patients to this special lecture on non-prescription approaches for supporting vibrant health on the Autism spectrum. Doctors registered for the FCA SW Regional Convention & Expo can hear Dr. Janet Lintala present "Overview of the Health Challenges of Autism Spectrum Disorder" on Friday at SW Regional Convention. 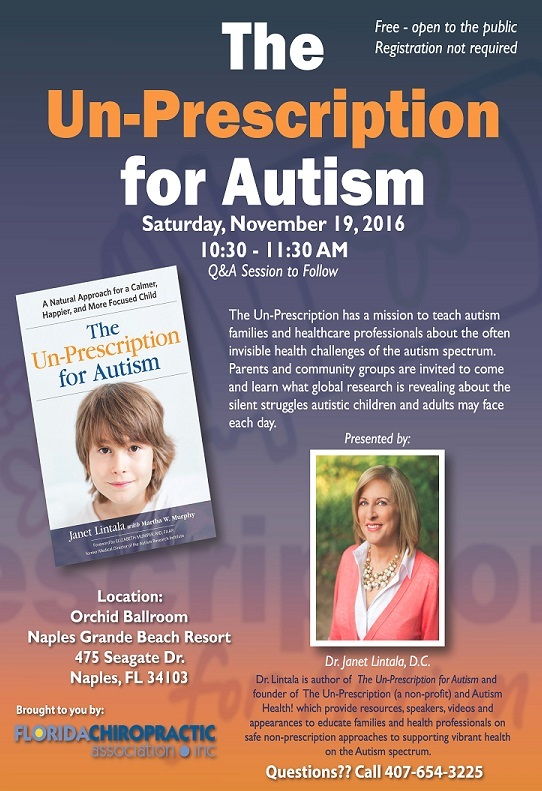 Then, on Saturday, November 19, from 10:30-11:30am, she will educate the public on "The Un-Prescription for Autism." Take this opportunity to show your community how chiropractic can support families dealing with the Autism puzzle. Click here to download this poster to print for display in your office. Thank You for engaging! CCE acknowledges comments and outlines future process. Many thanks to all you engaged last week to participate in the CCE online survey addressing proposed revisions in the CCE Accreditation Standards. The FCA commented via a letter and also responded through the CCE online survey posted on the CCE website. Read more to access the CCE response. It's the last day to comment. FCA has responded to proposed new CCE standards. Have you? The chiropractic world became aware virtually just last week that CCE proposed accreditation standard revisions were posted for comment with a closing date of September 30, 2016. Some of those revisions eliminated all reference to DC's being primary care physicians. The proposed revisions can be viewed at http://cce-usa.org/Call_for_Comments.html. The version showing track changes best shows what is proposed for deletion and addition to the standards. The satisfaction of attendees, speakers and vendors alike was evident as more than 4,500 came together to enjoy the give and take of the nation's largest chiropractic event. Watch for video and photo highlights coming soon! Here's the actual feedback from a sampling of the almost 3,000 attendees at last weekend's FCA National Convention when asked, "What did you enjoy best about this convention?"